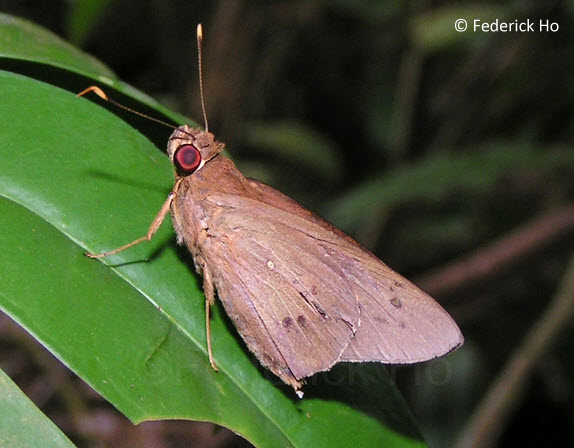 This Coconut Skipper is a rich dark brown above with pale yellow spots on the forewings. 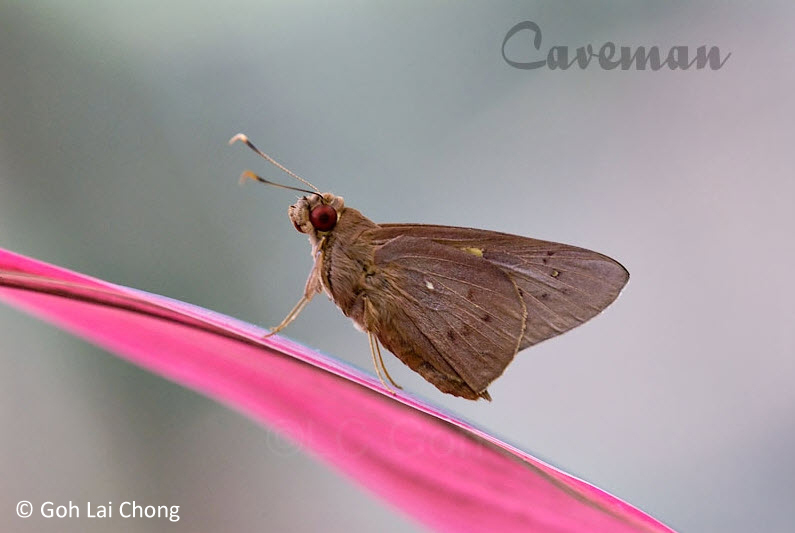 On the underside, the apical third of the forewing and the entire hindwing are a pale buff brown. 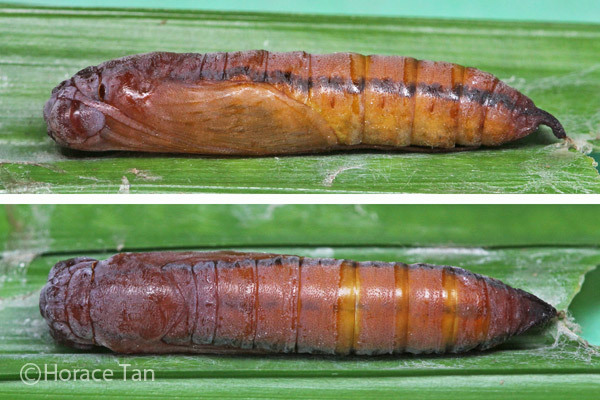 The species is known to feed on the coconut palm and bamboo. 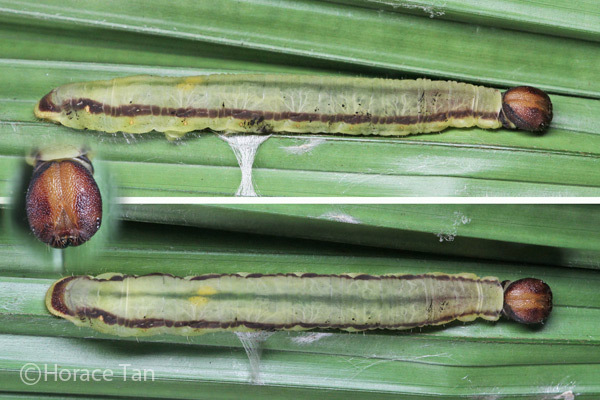 It is common where the food plants are still found in Singapore. 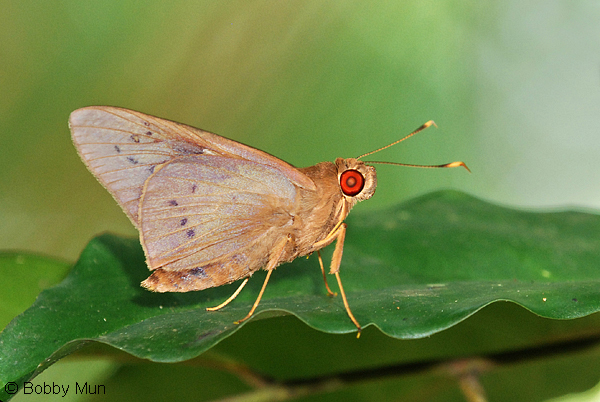 The live butterfly has deep red eyes which turn brown when mounted in a collection. 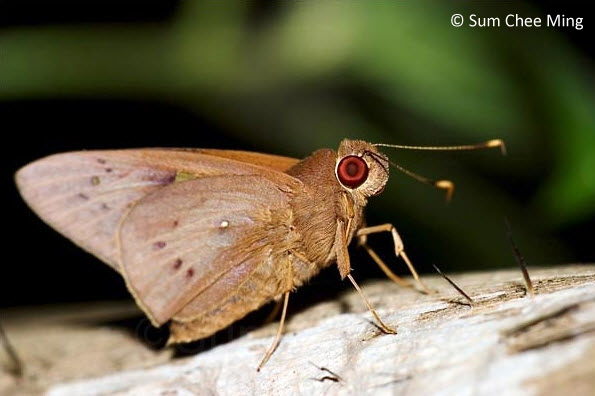 Occasionally, this Skipper is attracted to the lights of dwelling houses and becomes a welcome meal for the house lizards waiting near light sources.